Hearing is a sense. Listening is a skill. Attention is the catalyst that transforms hearing into listening. Just like any skill, our listening skills can be cultivated to approach excellence, and doing so requires a great deal of attention. In planning the Walker’s observance of World Listening Day on July 18, I turned to esteemed listeners in our community to get their take on aural attention. I corresponded with Marc Sanchez, a radio producer from Minnesota Public Radio, who shares his insights into listening for meaning, listening for a living, and listening for listening’s sake. Marc, you started Minnesota Sounds, a project on Minnesota Public Radio that captures our state from an audio perspective. What was the most surprising Minnesota sound you’ve experienced? Probably the most surprising sound came from the Stillwater lift bridge. There’s lots of traffic noise zooming back and forth, and the sound of warning bells clanging is constant as the bridge gets ready to be raised. That’s kind of what I expected to hear. What caught me off guard were the creaking, sticky sounds of the bridge itself. Grease is piled on to the thick girders that act as guides for the bridge to slide up and down. You can hear it at around 1:30 into this recording. How about the most moving or evocative sound? I don’t remember how I first heard about the chimes at St. Olaf College in Northfield, but their story is pretty powerful. Suspended in a timber-framed tower built by faculty members, the chimes are prominently featured in the main walkway through campus. The project began after the 2003 school year, when five students in that graduating class died before completing their studies. Each chime represents a student’s life that was lost since that time. World Listening Day takes place on the birthday of R. Murray Schafer, a composer and sound researcher who coined the term “soundmark.” Derived from the word landmark, “soundmark” refers to a community sound which is unique and held in special regard by the people in that community. 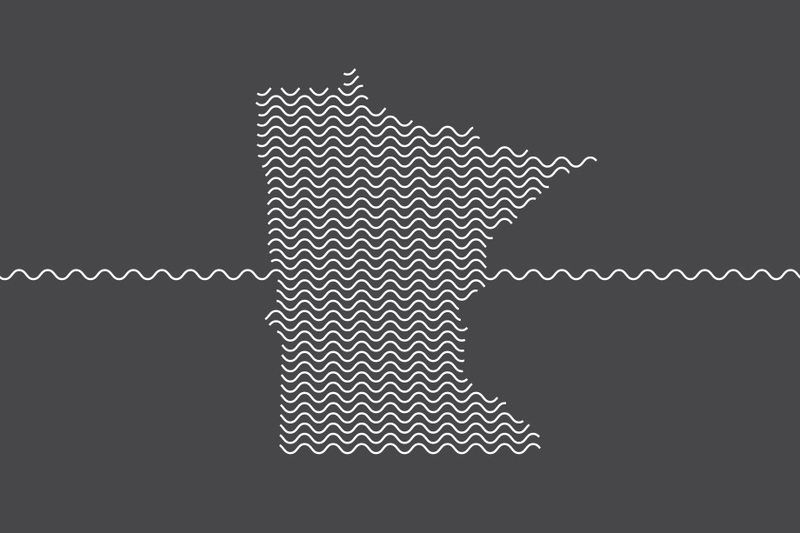 If you were to design an aural tour of Minnesota, what soundmarks would you include? 1. For some historical perspective, following the Dakota 38 + 2 memorial ride each December from Lower Brule, South Dakota, to Mankato, Minnesota. 2. Cracking ice is quintessential Minnesota. You can hear it everywhere, and it’s the kind of sound that becomes more distinct as you become more still. 3. Ships in Duluth. I moved here from California, where the ocean was a fixture I took for granted. Listening to the waves of Lake Superior lap against the shore brings that back for me. 4. The Sky Pesher. Walk across the grass from the World Listening Day event in the Sculpture Garden and immerse yourself in this installation. My colleague Rob Byers did a fantastic job of capturing Cantus performing here. 5. The State Fair is an explosion of sounds. My tip: get there as early as possible. That way your ears don’t have too many competing sounds to deal with. Have you been earwitness to sounds that might be disappearing from our soundscape? In a way, I suppose. Frogs at Carlos Avery [Wildlife Management Area] haven’t exactly disappeared, but their counts are being closely monitored by the DNR. The steam engines in Rollag will probably always provide a way for people to connect with the past, even if the present and future wants to run on clean energy. The fog horn that you can still hear at the Split Rock Lighthouse is only a pre-recorded replica of the original, which was taken out of commission in the 1960’s. What about exciting new sonic phenomena on our horizon? To my ears, there are always new sounds to hear or old sounds to hear in a new way — you just have to stop and listen. Yes, speaking of stopping and listening, Schafer also talks about exercises to achieve “clear hearing,” or “clairaudience.” Are there acoustic phenomena that for you serve as a kind of “tuning fork” or baseline to hone your sense of hearing? I have more of a relaxation technique than a tuning fork. It’s OK to close your eyes, take some deep breaths, and try to empty your mind of distractions. You’ll be surprised at how differently you start hearing the world after a minute or two. Take a sonic snapshot of your environment right now. What sounds are you perceiving, and are there any special meanings you make of them? Newsroom chatter of editors and reporters talking through a story… Keyboards clicking… The hum of my hard drives… A squeaky door. For me, these sounds get interesting when I look out the window at the bright sunshine and a summer shower. I’d really rather be listening to the rain splat on the sidewalk. What sound gave you the most challenging pursuit to record? Probably the biggest challenge was overcoming my nerves and climbing into a pen that housed a pack of wolves. I’d been hearing their howls and observing them all morning, when Peggy Callahan from the Wildlife Science Center in Columbus, Minnesota, invited me to get up close and personal. There’s nothing like standing in the middle of a wolf pack as they run around, growling at their meal. Luckily, that meal consisted of rabbits being tossed into their pen and not me. Do you have a listening regimen either in the field or when you edit a radio piece that lets you hear with fresh ears? I like to hear pieces that I mix in multiple environments whenever possible. So, I might mix something by watching my level meters and listening on headphones, then move to a studio where I can listen through speakers. I also mix a lot of dialogue, so natural rhythms and breathing patterns in speech become important. I like to think of myself as a conductor when I’m mixing a story. My goal is to have everything sound so natural that you forget I was ever involved. In Minnesota Sounds, you’ve encouraged listeners to submit environmental recordings with stories. What advice would you have for an eager and curious pair of ears, someone new to the all-encompassing aspects of listening? These days there are so many devices for us to record with, so I would really encourage people to not feel like they have to wait for top notch recording gear. That said, if you’re going to use your smartphone, for example, try and monitor what you’re recording with headphones. And even better, use a pair of headphones that are closed-backed — in other words, not ear buds. Headphones will really allow you to hear what’s going to be on the final product. They’ll also let you hear when there’s a lot of unwanted wind noise, volume clipping (distortion), or handling noise (when your mic picks up unwanted sounds like your hands knocking into it or a table being bumped). Being part of a community like the folks at World Listening Day or Transom, if you’re into radio, is a great motivator too. However fun your experience might be, going out to a remote area with a pair of headphones and a mic can be an isolating experience. Listening to other people’s sounds and stories helps to remind me I’m not alone out there. Marc Sanchez is the producer and director for MPR News’ weekday program, The Daily Circuit. He has worked on a number of different American Public Media-distributed programs, like Marketplace Tech Report, Weekend America, American RadioWorks, and On Being with Krista Tippett. His radio career began working for Joe Frank and on KCRW’s Morning Becomes Eclectic. He has helped produce and report stories for This American Life, Freakonomics, and Soundprint, among others. In 2010, Sanchez started a project called Minnesota Sounds (now Minnesota Sounds and Voices), which captures Minnesota, from an audio perspective. You can also hear him as a monthly DJ on MPR News’ sister station, The Current, where he helps showcase homegrown talent on the Local Current stream.